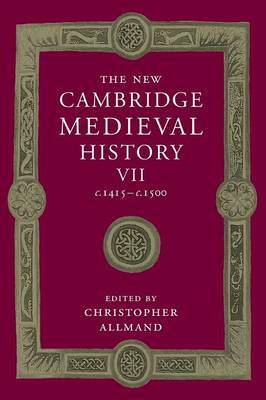 This volume covers the last century (interpreted broadly) of the traditional western Middle Ages. Often seen as a time of doubt, decline and division, the period is shown here as a period of considerable innovation and development, much of which resulted from a conscious attempt by contemporaries to meet the growing demands of society and to find practical solutions to the social, religious and political problems which beset it. The volume consists of four sections. Part I focuses on both the ideas and other considerations which guided men as they sought good government, and on the practical development of representation. Part II deals with aspects of social and economic development at a time of change and expansion. Part III discusses the importance of the life of the spirit: religion, education and the arts. Moving from the general to the particular, Part IV concerns itself with the history of the countries of Europe, emphasis being placed on the growth of the nation states of the 'early modern' world.